Delivery from £15.33 to United Kingdom in 9 - 19 working days. An elegant dessert serving set designed by Sezgin Aksu with Silvia Suardi for Serafino Zani, made in 18/10 stainless steel. The extremely essential and clean-cut lines, surprising and impressive for their formal boldness, make this accessory innovative and yet remarkably fitting to every table be it informal or traditional. 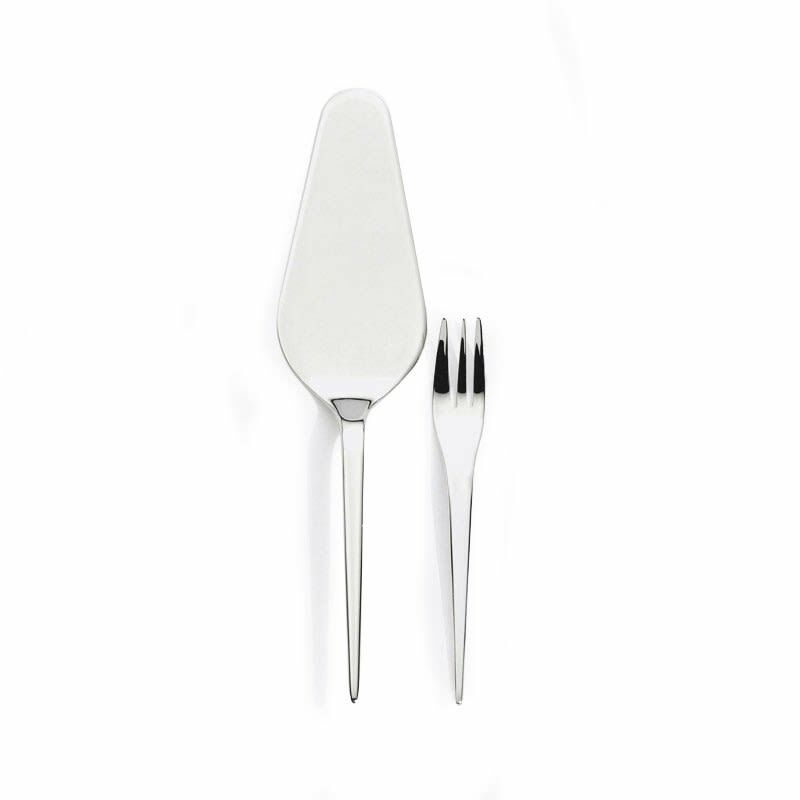 13 piece set for dessert, cake server and 12 dessert forks.